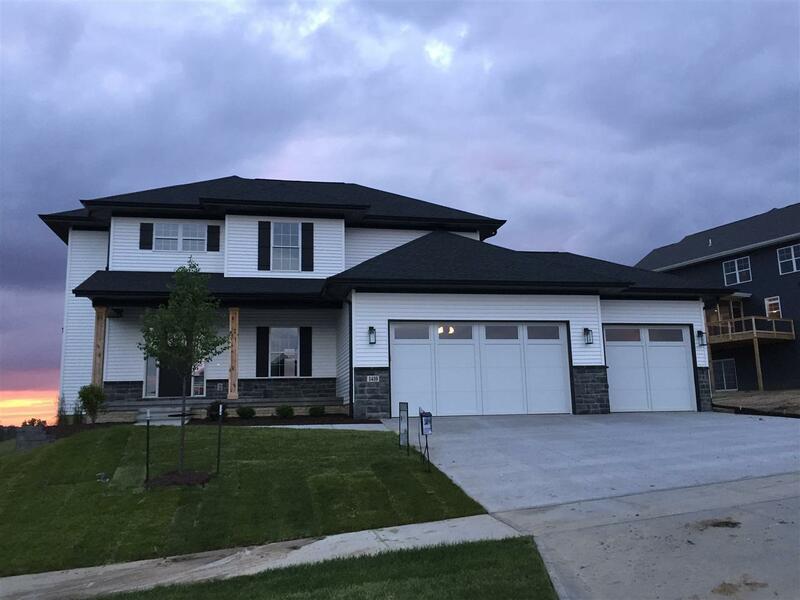 New Watts Group Construction home with walk-out basement features spacious, light-filled interior, lovely high-end finishes, and plenty of upgrades! Pristine kitchen w/ crystal white quartz countertops, Aristokraft white soft-close cabinetry, and GE slate appliances. Ebony oak flooring throughout the main living areas with tiled fireplace. Covered deck off the back with views of the neighborhood pond. Spacious master suite with trey ceilings and attached bath, with quartz countertops and tiled shower.